During Izzy's comedy magic show, sounds of uncontrollable laughter echo as captivating stories become uproariously funny routines. Kids laugh continuously at his hilarious antics and funny puppet skits. 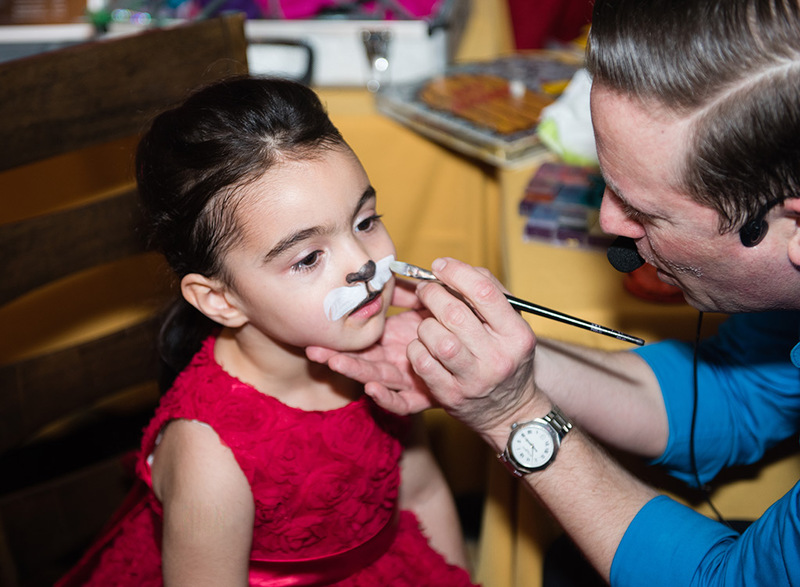 Izzy’s Entertainment offers fun parties where balloon art and balloon twisting are a big part of the show. Your child will laugh with excitement as his or her balloon animal friends are created. Call Tyler, the owner of Izzy’s Entertainment at 732.266.3471 today to plan your next event. Reserve your party date and time with the tri-states best kid's comedy magician. We wanted to thank you very much for a wonderful addition to our daughter’s birthday party. The kids were all so engaged and happy. Thank you again for including my grandson too. Your a wonderful entertainer. Dear Tyler: Thank you so very much for making Daniela’s Christening so amazing! You were ABSOLUTELY INCREDIBLE! All of the kids (including parents) thought you were a great hit! I am still receiving comments and requests for your info. Definitely the best children’s entertainer I have ever seen!!! I look forward to having you perform for us again!! I like to give Tyler Winters a letter of recommendation. He did a great job as a magician at our company function last Christmas. Everyone enjoyed his act and I would definitely hire him again. Dear TYLER: You are AWESOME!!!!! We want to THANK YOU a million times over for the spectacular performance you did at our son’s birthday party. Our son and all our guests, young and adult, were so delighted by your show and also delighted by the bright, personable, charming, professional, incredibly energetic, great magician, balloon artist, face painter, and a very likeable person that you are! Our guests kept calling us over to tell us how great you are and how much they are enjoying your show. We feel so incredibly lucky to have found you and so incredibly THANKFUL TO YOU because you made our son&rsquo;s birthday party the best ever!THANK YOU another million times over! YOU ARE THE BEST! Tyler, I was extremely satisfied with your charisma and high energy on my son’s first birthday on June 8th, 2014. You are one truly talented individual and a true “”one man show””. The children were busy the entire party with all of your games, music and the magic show. Your detailed face painting and balloon twisting was unbelievable! Even the adults were in amazement. Thank you once again for making our party a day to remember!. Dear Tyler, On behalf of Ehrich and Ehrich I would like to thank you the recent performance at our corporate event on Saturday, Oct. 6th, 2014. You were excellent with the children, well prepared, enthusiastic and creative. The routine was fantastic and I would reccomend you to any company or individual. Call Tyler at 732.266.3471 today to plan your next event! 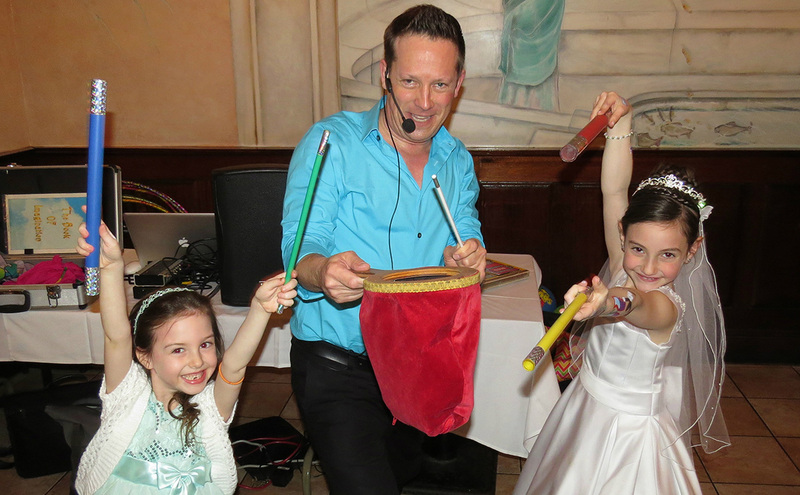 Tyler, the owner of izzysentertainment has been providing the following kid’s party entertainment services in N.J. for over 25 years. The services below are perfectly suitable for Communions, Christenings, Corporate Events, Block Parties, Festivals, Store Grand Openings, and Baby’s First Birthday Parties. Tyler will incorporate different magic tricks into his show tailored to the age range of the children. 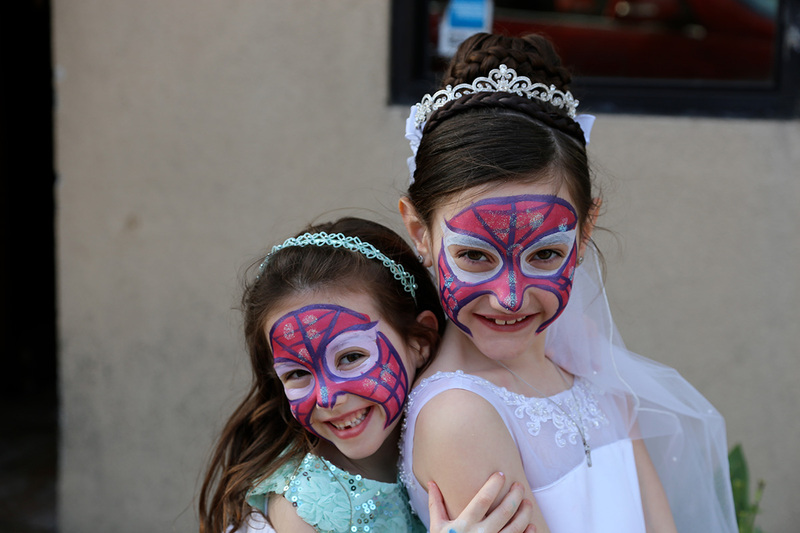 Face Painting services for children’s parties. Balloon animal twisting and sculpting. Kids DJ services and creative games for children’s parties ages 2-8. We can customize any of our kid’s party entertainment services to suit your event.